As researchers ramp up experiments of a radically different, efficient aircraft, a privately operated startup looks to bring back supersonic flight, this time with efficiency. Aviation technology is a highly critical field. While companies can still somewhat get away with the risk of a minor glitch in smartphone software, a minuscule flaw in aviation means leaving a whole bunch of factors with critical consequence at risk — fuel costs, peripheral factors, and above all, the safety of lives and expensive equipment. All of this leads to a field that presents highly efficient engineering, and above all, exciting innovation that is always on the move to make the world a safer, faster, more intriguing place to be in. This week, we speak of two, rather unique pieces of engineering, both crafted by over-enthusiastic aviation geniuses experimenting with an engine and a few other toys. The essential objective of both these missions is roughly the same — increase efficiency of flight, while reducing travelling times and making air travel still safer. The nature of the two, however, are different — while one aims to change the fundamental shape of an aircraft to increase efficiency, the other aims to make supersonic flights viable, for the first time ever. Before we get ourselves too carried away with the greatest spacecrafts that popular culture has thrown at us, the following is a topic that has been much discussed, but is being seen in a concept form for the first time ever. In fact, it does not even look like an airplane, and actually resembles a flying wing, or a boomerang, if you will. It also reimagines the fundamental principles of aircrafts that can be found today, in the sense that it does not use the conventional moving flaps, wings and tail to maneuver and navigate the plane. What’s even more interesting is the technology of construction of the aircraft — it is actually made of small, hollow, plastic compound components that are sort-of bolted together like lego building blocks. Over some of these blocks, and overlaying compound primarily comprising glass fibre is plastered, giving them added rigidity. As a result, the non-layered part of the craft becomes more elastic, and hence gives it shape-morphing abilities. These plastic building blocks have octahedral, symmetric structures, resembling continually linked atoms of a bizarre molecular compound. Inside the wings, these materials are linked together in a lattice like structure, giving them an elaborate, but modifiable arrangement. What truly sets apart these wing-shaped aircrafts is the programmable nature of the wing’s components — because these building blocks differ in rigidity and elasticity, their arrangement on the body can be actively programmed as per requirement, thereby giving them the same function as that of movable parts on the body of conventional aircrafts, which are made of composite materials such as aluminium, or in few cases, carbon fibre (which presently comes closest to lightweight, rigid materials). 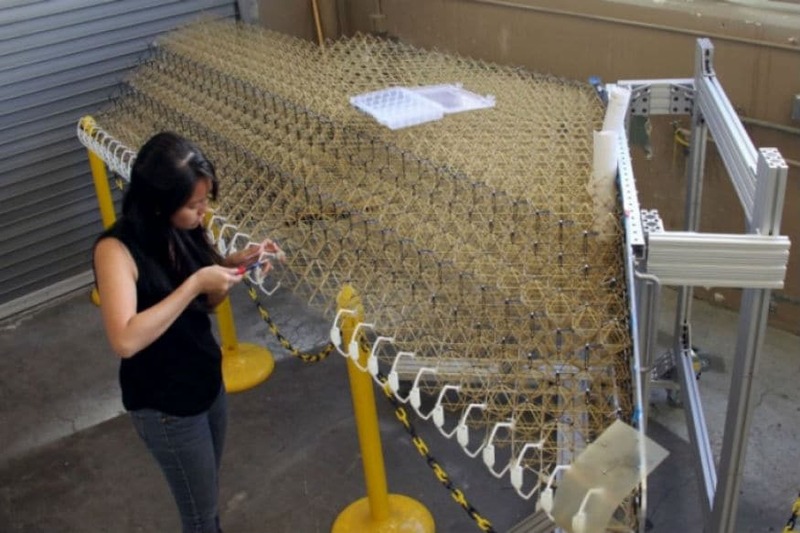 In one of the prototypes that the researchers created, the aircraft was installed with connected actuators that could control the varying rigidity of material on the wings, and even control the wing tips. 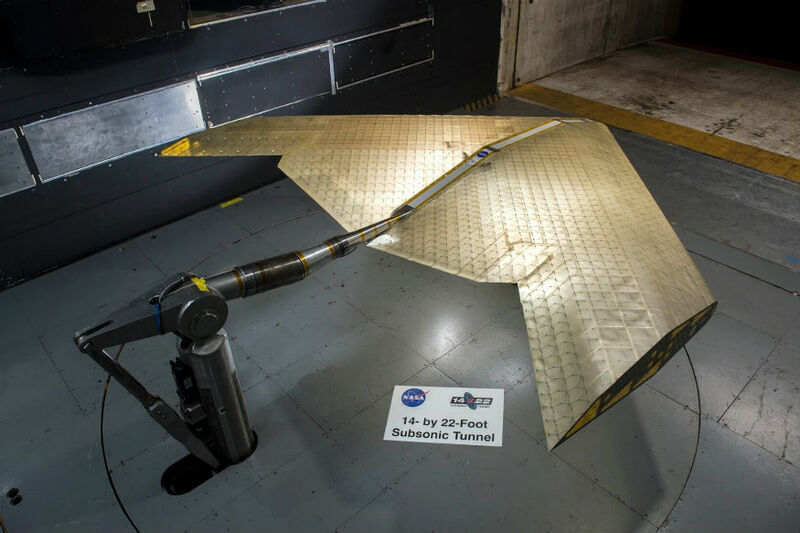 As a result, when tested inside NASA’s wind tunnel, it could actually perform maneuvers such as controlling the wing tips to change direction, or flip/roll, and adjust the elasticity of the wing portions to adjust to the aerodynamic load, and maintain altitude. This essentially signifies that the drag coefficient can be significantly reduced, for the entire structure of the airplane will be thoroughly different, and significantly more aerodynamic, than that of present aircrafts. However, such structures are unlikely to execute commercial travel flights, and are most likely to be deployed in commercial, surveillance and professionally applied sectors, which require high efficiency, long duration journeys. 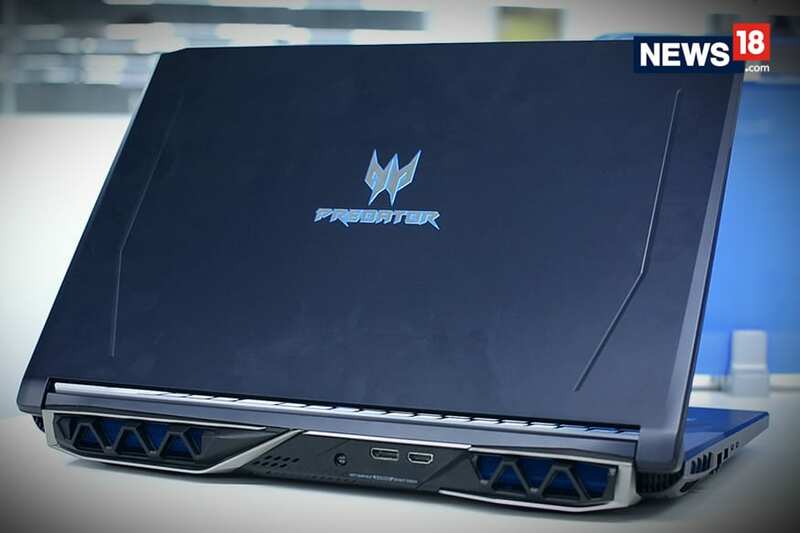 What’s exciting is that this prototype actually has a manufacturing design process chalked out, meaning that even though it sounds ridiculously futuristic, it may just be closer to real world deployment than it sounds. The paper for the research study has been published in the Smart Materials and Structures journal, and you can read the same here. Remember the Concorde, the once-prevalent symbol of swagger, opulence and splendour? Most known for achieving supersonic speeds and promising to herald a new era for the jet-setting businessman at over 2,200 kmph, the Concorde also stood for as many negatives as it once symbolised the epitome of mankind’s technological prowess. It coincided with the time when the world ran out of all its money, where despite bleeding fuel and operational costs (even with eye-watering ticket prices and multiple government subsidies), airlines (the British Airways and Air France, mostly) bled in an effort to give its patrons the portal to supersonic travel. It was utter chaos (literally) outside the aircraft, but inside, it came with the promise of savage prosperity. But, if you ask Blake Scholl, founder of Boom Supersonic, supersonic aircraft should not just be remembered for being one of the most marvellous commercial failures of all time, and Scholl is out to prove that. Having given his company a name that literally does not leave anything to your imagination, Boom Supersonic is presently in elaborate testing process of a one-third scaled prototype of the Boom XB-1 — an aircraft that eventually aims to shoot through the skies at twice the speed of sound without the sonic destruction, the rampant fuel consumption and more efficient and affordable usability, by 2025. However, while testing is on with engines that might be able enough to provide the kind of propulsion that is required to shoot an aircraft into such breakneck speed, there are realisations of just how difficult the eventual act might be. First of all, comes the engine — while companies do make engines that are capable of achieving mach speeds without an afterburner (which is responsible for the destructive noise), they are not viable enough for economic, sustainable, commercial air travel. 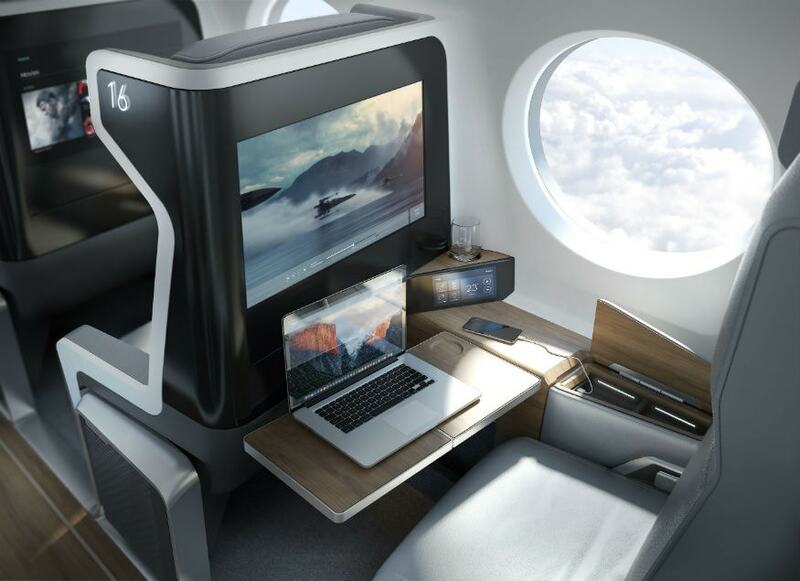 All of Rolls Royce, Pratt & Whitney and General Electric are slated to pitch their ideas to Boom Supersonic soon, and the likes of Virgin Airlines and Japan Airlines are among potential customers, should the aircraft succeed in production. However, the problem is, today’s available aviation technology has not quite cracked the formula. Well, not yet at least. Other factors include managing the sonic boom by technologically modifying the aerodynamic structure and principle of the aircraft, which is more achievable than creating the engine. Once Boom is beyond these hurdles, comes the final one — getting enough funding in pocket to actually build these mean machines. Each will cost $200 million, mostly comprise a carbon fibre chassis, and seat about 55 passengers, whom we cannot presume will quite pay economy airfare, at least in the initial days of the ‘craft. The carbon fibre technology at hand is incredibly sophisticated, and the body panels are tuned to perfection to extract every inch of speed out of it. It will also fly generally higher than commercial airliners of today, since the air goes thinner as you fly higher, leading to lesser air friction, which in turn becomes denser as you cut through it faster (Newton’s Third Law, of course). 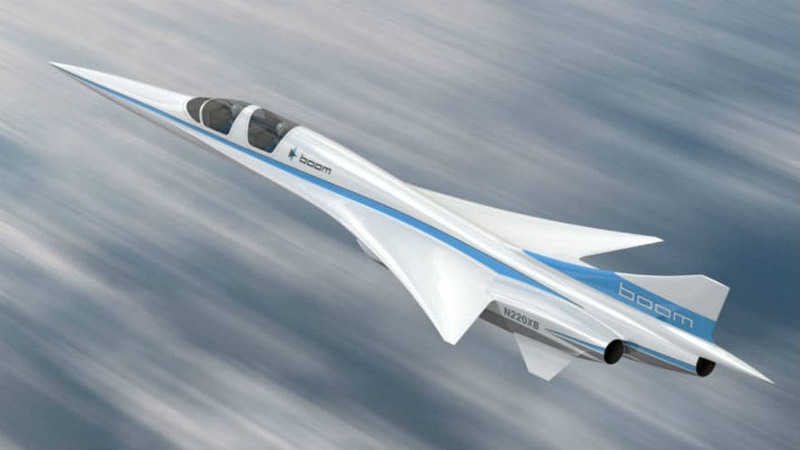 The final hurdle, though, is completely non-technical, and involves airline regulators, lawmakers, sanctions and legal certifications that would re-enable commercial supersonic flight over land. Somehow, it is this hurdle that sounds more difficult to surpass, than all of the ones above.